On This Day: The Armenian Church Synaxarion-January, Mathews Jr. Translated and Edited by Edward G. Mathews Jr. The Armenian Church Synaxarion is a collection of saints’ lives according to the day of the year on which each saint is celebrated. Part of the great and varied Armenian liturgical tradition from the turn of the first millennium, the first Armenian Church Synaxarion represented the logical culmination of a long and steady development of what is today called the cult of the saints. 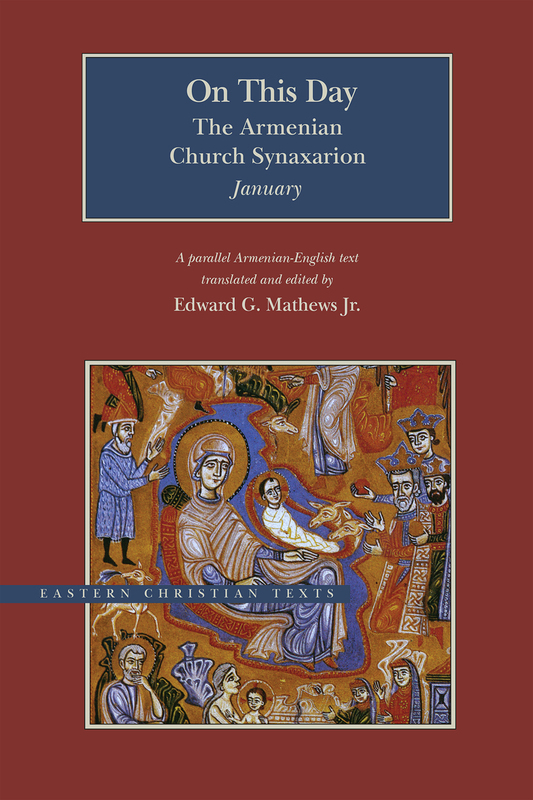 This volume, the first Armenian-English edition, is the first of a twelve-volume series—one for each month of the year—and is ideal for personal devotional use or as a valuable resource for anyone interested in saints.